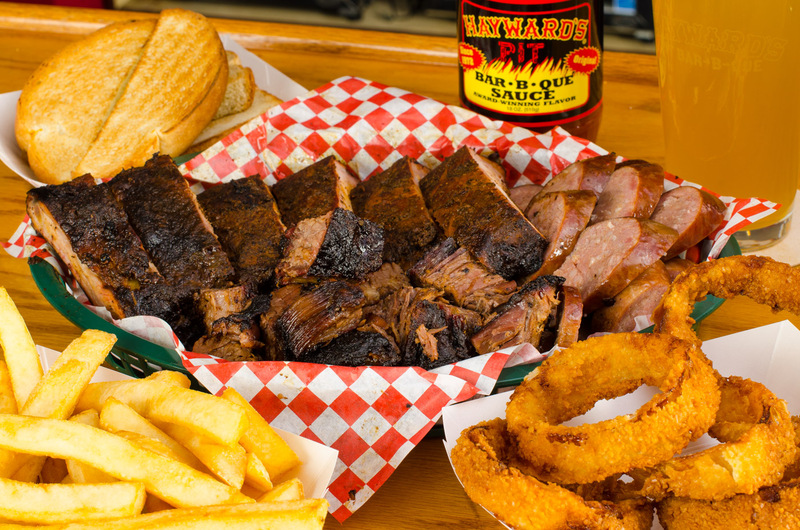 Located in Lenexa, Hayward's provides excellent 100% hickory smoked BBQ. 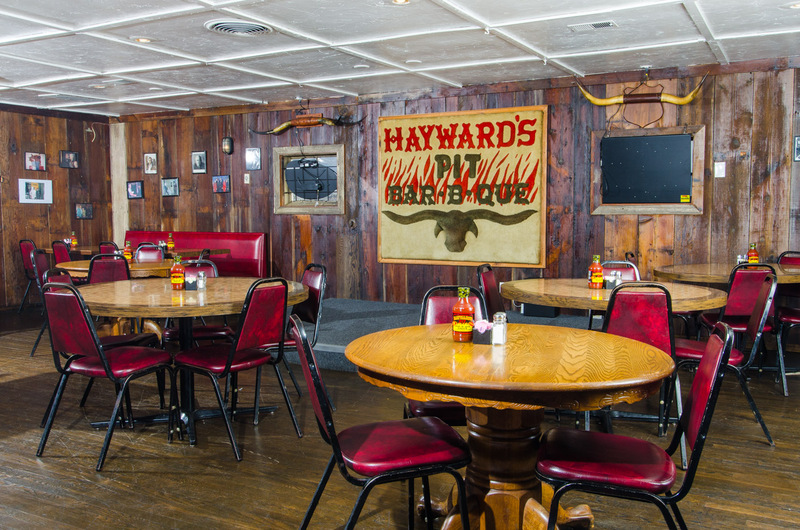 Hayward's was founded in Overland Park, KS in 1972, located on College and Antioch for 45 years. It is now relocated in Lenexa, KS on Sante Fe Trail Drive. 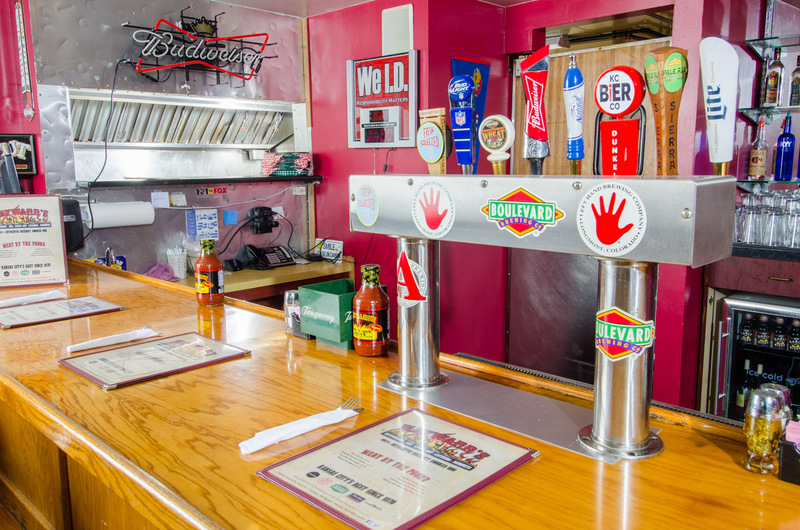 Hayward's provides great BBQ. 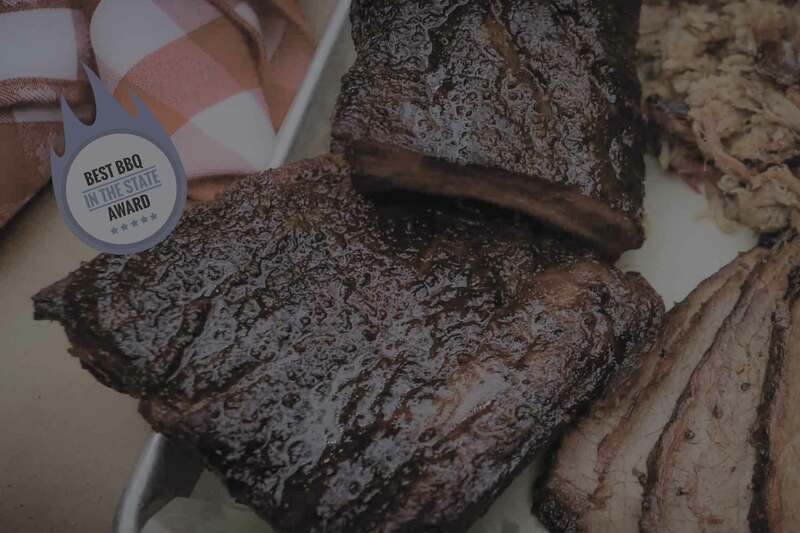 All of our meats are hickory smoked to perfection. 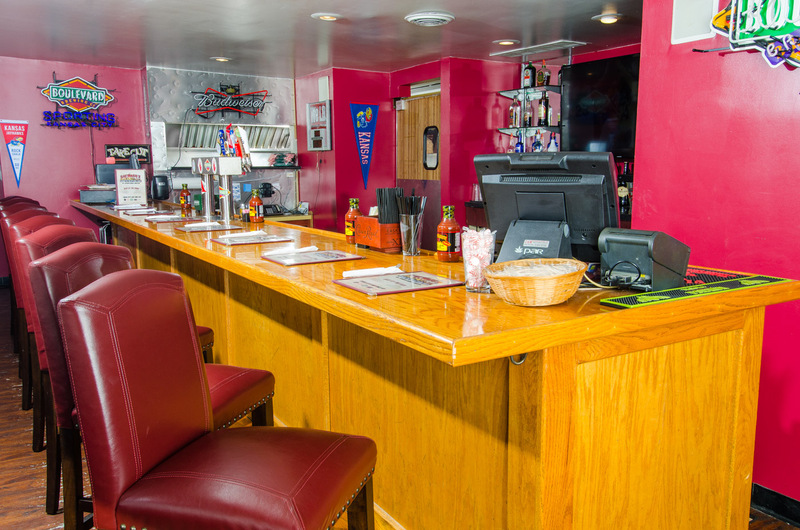 Hayward's is a great place to be, with a relaxing and family like atmosphere. 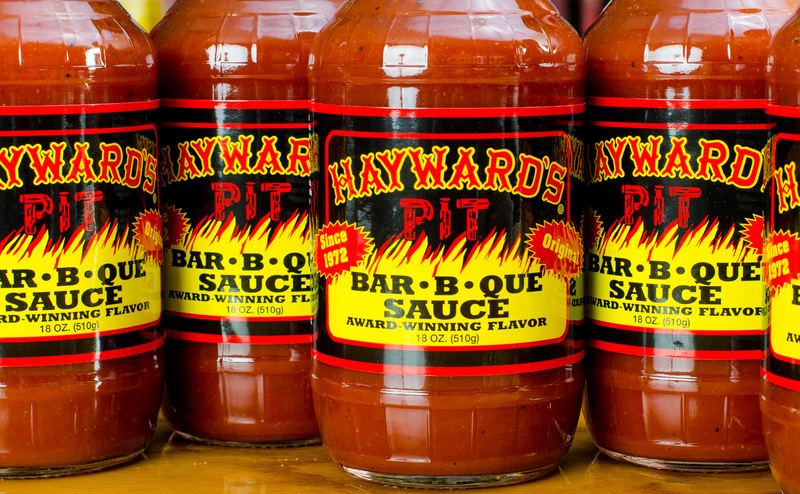 Click here to buy Hayward's Signature BBQ Sauces! Jalapeno and cheddar cheese battered sweet corn bites, fried to a perfect golden brown, simply delicious! Portabella mushroom caps, sliced and breaded with 3 pepper and garlic seasoning, fried to a golden crisp and served with out house made tangy horseradish sauce. Lunch sandwich with choice of one meat and choice of two of the following: thick-cut fries, slaw, baked beans, cheezy corn bake or potato salad w/ egg. Including drink. Burnt Ends or brisket and your choice of cheese: (pepper jack cheese, cheddar, ghost pepper, or swiss) topped with two onion rings and served with a side of our homemade horseradish sauce. 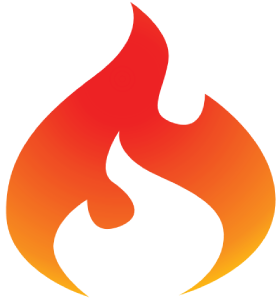 Your choice of up to three meats: Ribs, Chicken, Sausage, Burnt Ends, Pit Ham, Turkey, Beef Brisket, Pulled Pork. 12804 Santa Fe Trail Dr.